The cover image of Mark Havens' new book, "Out of Season: The Vanishing Architecture of the Wildwoods," shot at Sweetbriar and Atlantic avenues. Mark Havens’ day job is teaching industrial design – product packaging — at Philadelphia University, near his home and workshop in the East Falls section of Philadelphia. 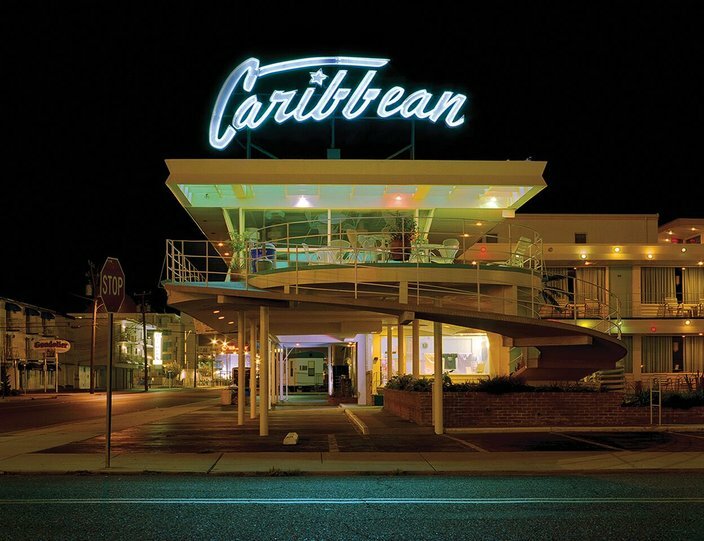 But the professor’s passion project – a decade of work, beginning with learning how to use a camera and take photos — was documenting the disappearing midcentury modern designs that once filled Wildwood. The resort’s hallmark look – Doo Wop – is rapidly disappearing. 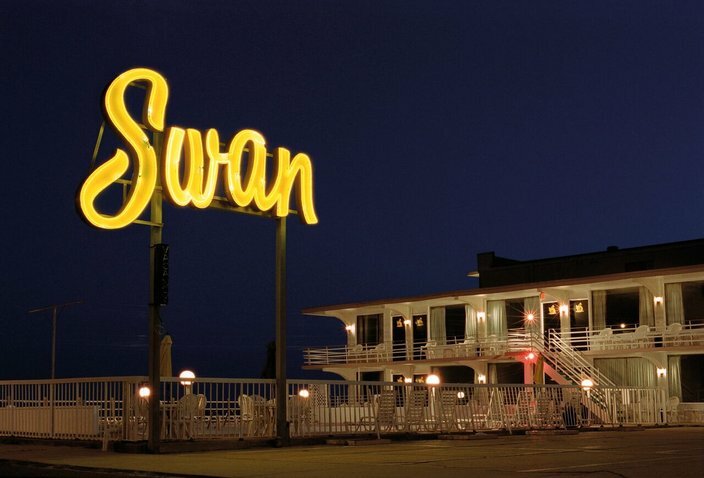 The design style, with its emphasis on neon lights, made Wildwood famous during the height of its popularity in the 1960s and 1970s. Havens sounds pained as he tells PhillyVoice that 25 to 30 percent of the 105 locations he documents in his new book, “Out of Season: The Vanishing Architecture of the Wildwoods,” no longer exist as depicted. Many were outright demolished, but others were “condo-ized,” the whimsical, kitschy and colorful facades and decorative flourishes stripped away, buildings rendered bland, not bold. There’s a visceral and personal connection to Wildwood for what has turned out to be as much an elegy as a celebration for Havens, who studied at University of the Arts in Philadelphia. “It had been our tradition, my extended families, to go to Wildwood since the 1970s. And my grandmother began going in the 1930s,” he recalls. Havens’ fascination predates his understanding of serious photography, a skill the artist taught himself. 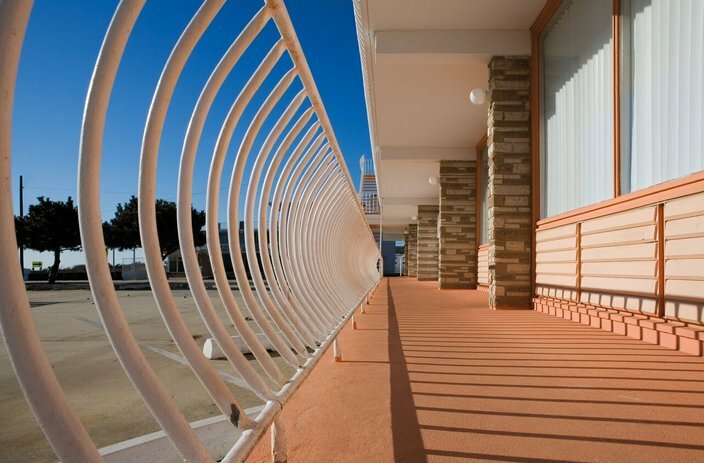 Soon he realized summer, when streets and parking lots are cluttered with cars and balconies crowded with people, didn’t work for the clean and clear images emphasizing design he wanted. He also learned that by winter, plastic palms were in storage, pools dry, furniture stored. That meant his sweet spots for shooting were two weeks before the start of tourist season and then again two weeks after Labor Day, radically slowing the pace of his documentation. “I wanted to catch some portion of them before they were gone," he says, but his schedule meant is was impossible to keep up. In all, he made 13,000 separate images in a decade, culled down to 105 for the book. The result is a distinctive look, as Jamer Hunt, the founding director of the graduate program in Transdisciplinary Design at Parsons School of Design in New York City, notes in one of two accompanying essays. 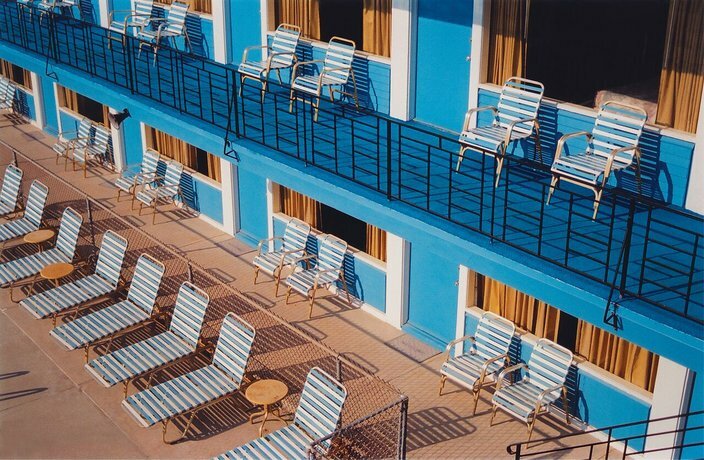 “These photographs establish a middle ground that allows us to perceive pattern, texture and rhythm that is abstracted, almost, from the clamor of the motels themselves. “The visual quietude of Havens’ work invites us to linger a bit longer on elements that we might otherwise have ignored. And their strong cinematic quality — their emptiness — never lets us forget that these were dreamscapes for millions of visitors,” writes Hunt. 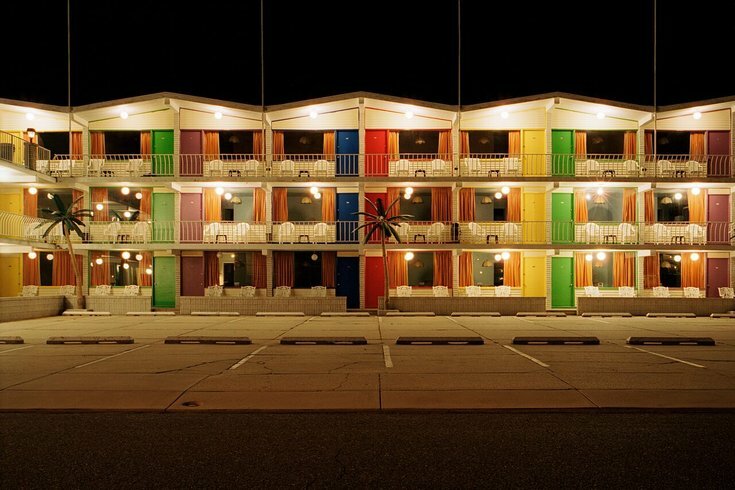 Joseph Giovannini, an architecture and design writer, also contributed an essay on the buildings that once embodied the midcentury modern style of Wildwood. He sent presentations to 41 publishers and picked a British company, Booth-Clibborn Editions, that embraced his approach of letting the buildings and design speak to each reader. The book, which launches Tuesday and retails for $37.28, is already the top title in regional architecture on Amazon through pre-orders, is resolutely about the uncluttered images. “Each reader brings their own nostalgia to the pictures,” because they depict buildings and designs, not people and cars, says Havens. The works are untitled, identified only by their street locations, meaning it is easy for a reader to track down the still-standing buildings. Havens provides an index noting which are demolished, jewel-like buildings of neon and bright colors preserved for posterity.